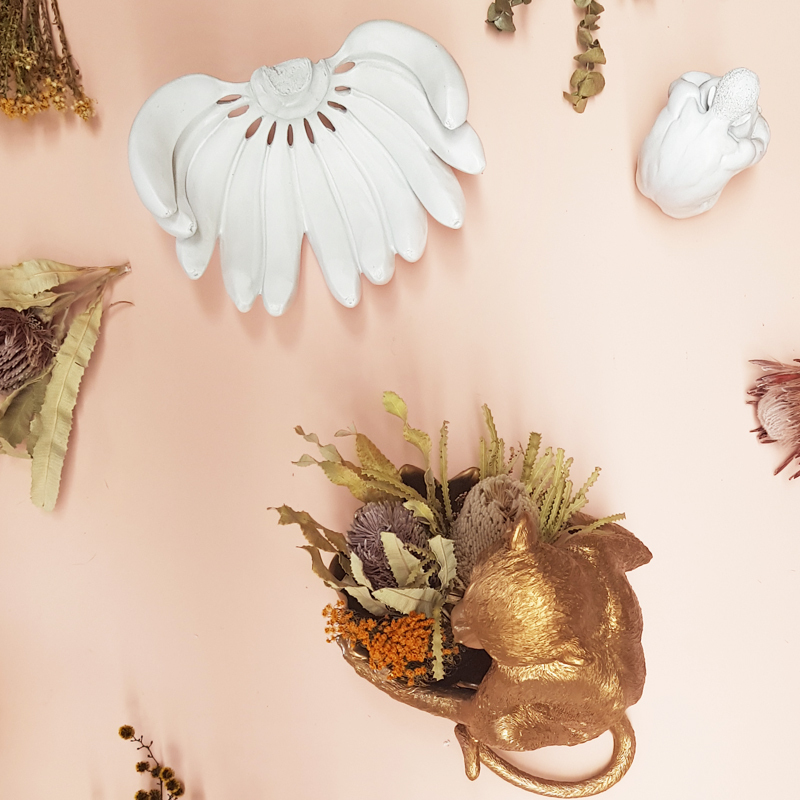 It isn’t an easy gig developing your own homewares line. The continual pressure to develop new designs, get said designs ‘discovered’ and spark a connection with consumers… all while warding off cheap copies, wearing the many hats that come with being an entrepreneur, and maintaining enough energy to keep pushing forward. But one designer who’s made a name for himself is Colin Hutson of White Moose. You may have seen his quirky pieces feature on The Block and today we’re chatting with Colin about his fun label. “I’m a kid who never wanted to grow up and my designs are inspired by memories from childhood. Growing up on a farm in country Victoria, life was full of adventure and imagination. We had pets of all shapes and sizes, from big brown cows to tiny mice. On weekends, we took trips to the dinosaur park or beach. I draw inspiration from these memories in my designs,” he says. 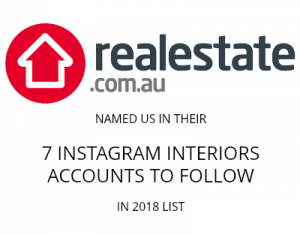 Those designs include statues of corn cobs and kangaroos, whale book ends and banana bowls. Don’t let the fun nature of his collection fool you, he’s a qualified artist who always had a burning desire to start his own label. Nowadays the design and selling process looks a lot different. “Each collection starts with mood boarding and sketching out designs from a core theme or idea. From sketch, we handcraft clay to create a 3D form which our manufacturers use to create fully formed samples,” he explains. “The White Moose collection is no longer just designs of my memories and experiences – you’ll also find our collaborations with artists, or designs inspired by the White Moose community. A turning point for Colin came in 2017 when his pieces were featured on The Block. “That was one of the biggest highlights for me. It felt surreal seeing our collection featured in room reveals and challenges. “I’m a big fan of the show and always had a goal to have a product featured on The Block – let alone 15 designs! It was a pinch yourself moment… and then to have many designs sell out nationwide within days, some within hours, was a roller-coaster of excitement. To maintain a unique and exclusive range, Colin says producing limited quantities of each product is a must. “It ensures a sense of individuality in interior home décor. 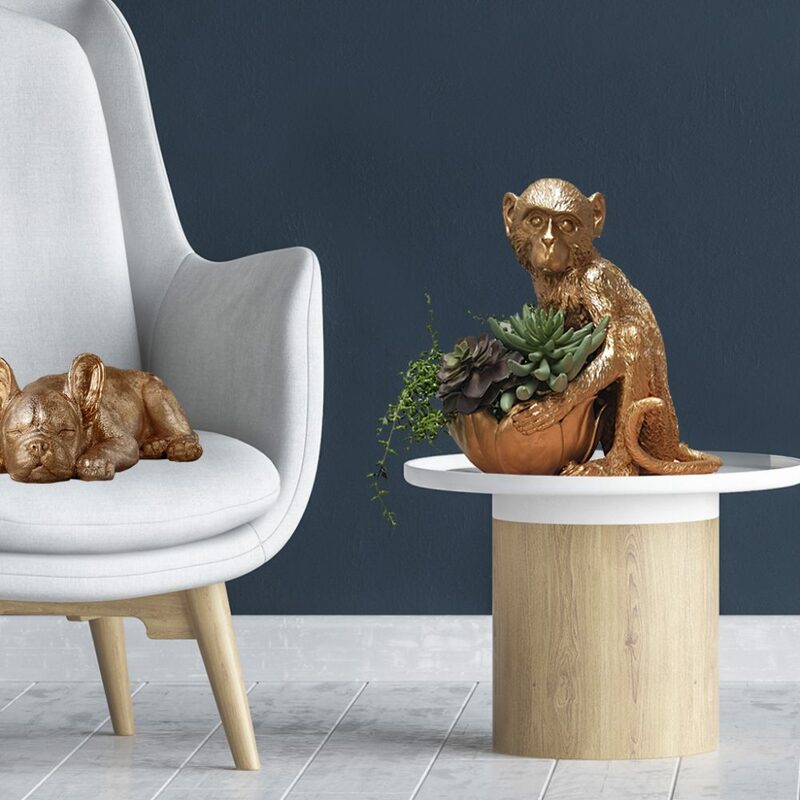 There’s so much thoughtlessly mass-produced décor available now. We also love that they give back with every purchase. 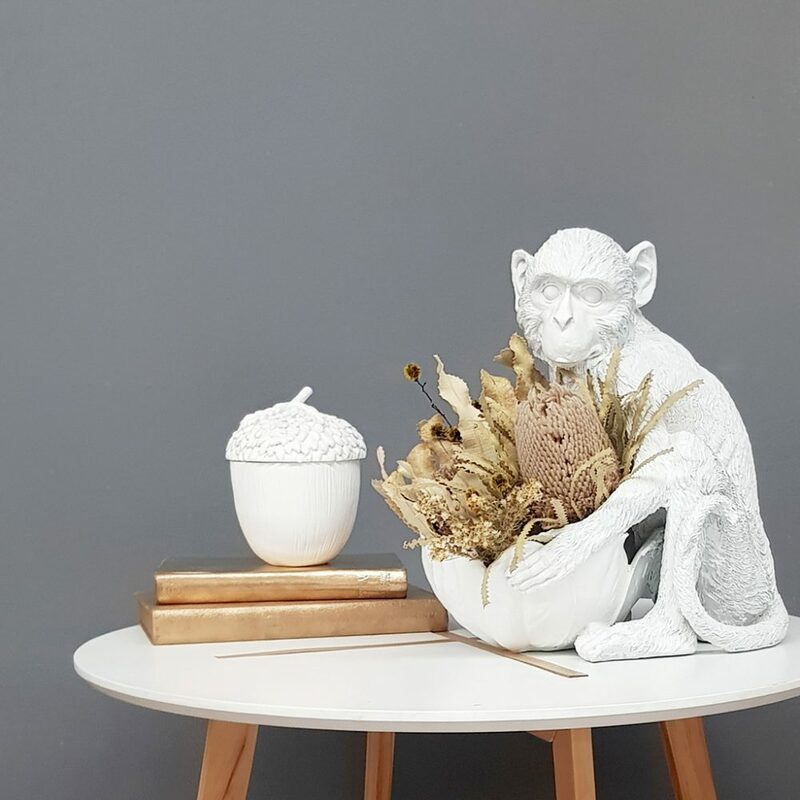 If you love this range of quirky home décor, don’t miss your chance to win one of their top-selling monkey bowls in your choice of colour valued at over $100! 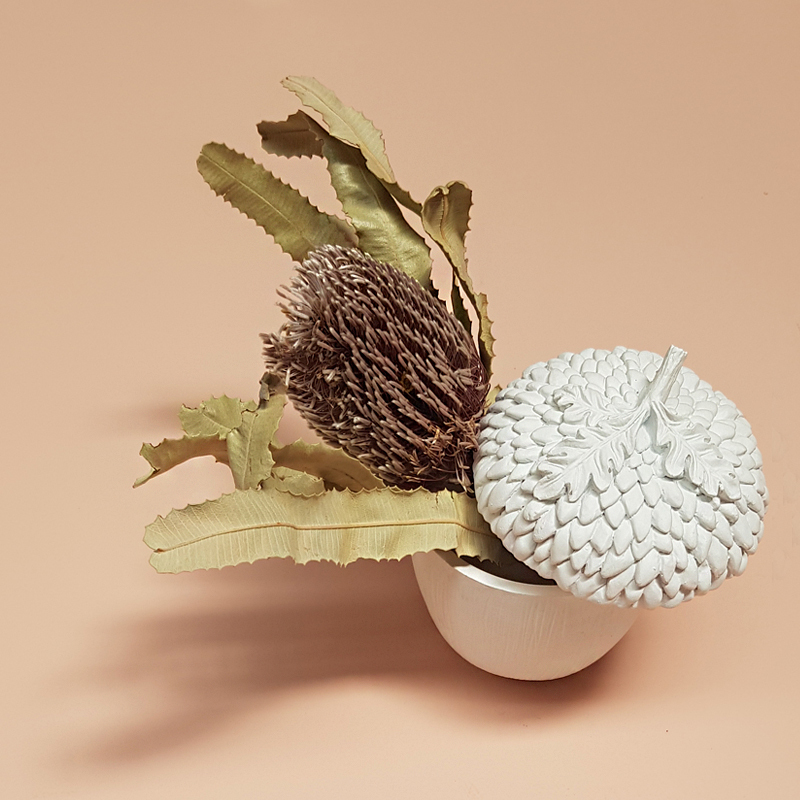 Use it to hold an indoor plant, your keys by the front door or jewellery on your bedside table – this adorable guy will make a welcome addition to any room of the home. Enter as many times as you like (each comment tagging a friend counts as one entry). For an extra entry, show how much you love the bowl of your choice by sharing a pic of it in your stories tagging us @whitemoosedesign and @stylecuratorau. Terms: giveaway runs between 11 – 15 April 2019. Only Australian residents are eligible to win. We will select the winner by 17 April 2019 and announced it on the blog.